My four year old is a little obsessed with Halloween; well, Halloween, Christmas, her birthday, anybody’s birthday, Easter, and pretty much any celebration. I’m not underestimating the obsession, either. This week alone, we’ve had a different dolly’s birthday every day. I admit, I feed into it. We made blonde brownies for one birthday celebration (although I just felt like something sweet), and we’ve done lots of dancing and singing around the house. With Halloween coming up, my daughter has a different costume idea everyday. Her latest, and the one that seems to be sticking, is to go trick-or-treating as a mermaid. She, of course, needed a costume for her dolly too (since the dolly’s birthday was the next day). 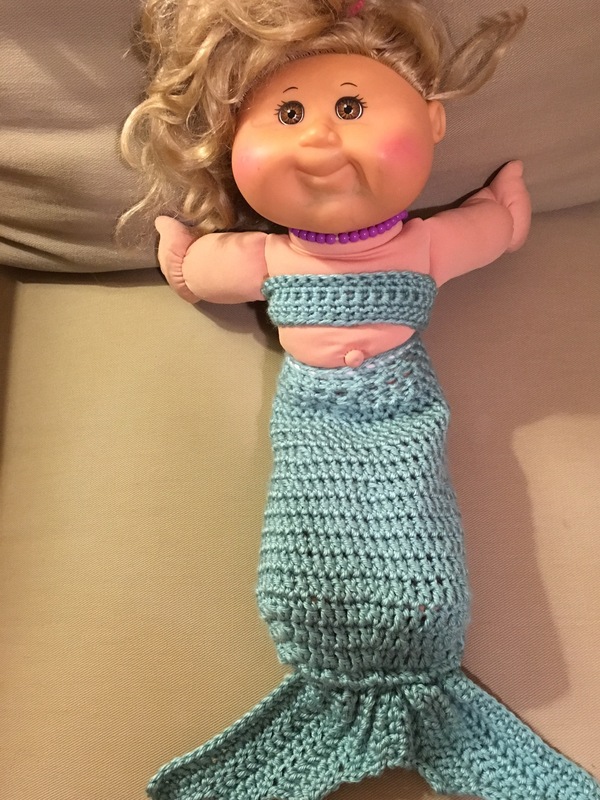 I figured since she may change her mind 15 times before Halloween, I’d make a practice dolly mermaid costume before I started in on the little one’s costume. 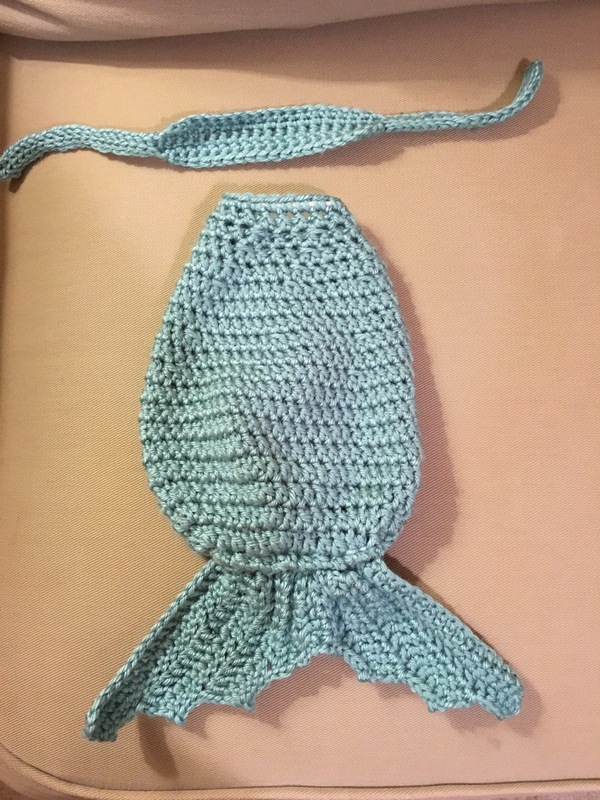 I used this pattern for the tail, it is a very simple design for a beginner crocheter. I decreased the top to fit the doll and then single crochet around a pony tail holder to cinch at the waist. Here is what I came up with!